The Durban Botanic Gardens will host the BGCI 7th International Congress on Education in Botanic Gardens from 1- 5 November 2009. The title of the 2009 congress ‘Action Learning: places, spaces and partnerships for biodiversity and human wellbeing’ encapsulates the dynamic and relevant role of botanic gardens today. Special Collections:Orchids, Bromeliads, palms and cycads (full collection of indigenous species). Aproximately 30% of the plant collection are of indigenous taxa. Inanda, Ntuzuma and KwaMashu (INK) are located just north of Durban city and are home to 510, 000 residents. This area is the second largest agglomeration of poor neighbourhoods in South Africa meaning that most of the population are subject to high levels of unemployment, degradation, social dislocation, poverty and crime which is exacerbated by inadequate physical infrastructure. To tackle these issues, the president at the time out forward the area to be included in the Urban Renewal Program. As a part of the Program Durban Botanic Garden chose to focus their involvement on the 17, 000 young people growing up in this difficult, disruptive area. Through Chapter 1 of its Citizen Education Project the garden was active in over 30 primary schools, inviting them to the garden to take part in educational, environmental activities. 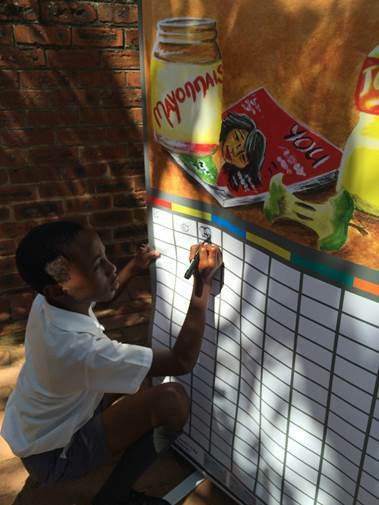 • To motivate younger citizens to become responsible and take pride in their environment and community. • To educate on the threats climate change and invasive species pose to South Africa’s native species. The project focused on primary school aged children, inviting schools to the garden to take part in a day of activities. 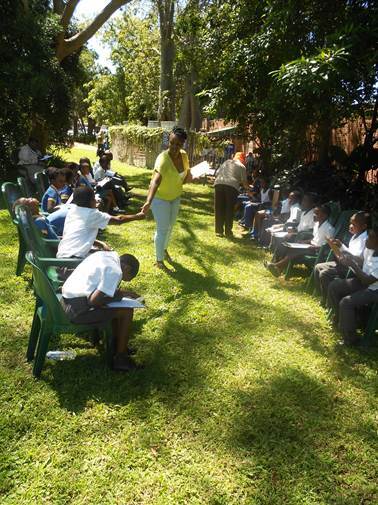 Students were introduced to the topics of biodiversity, ecology and conservation in a fun and approachable way. 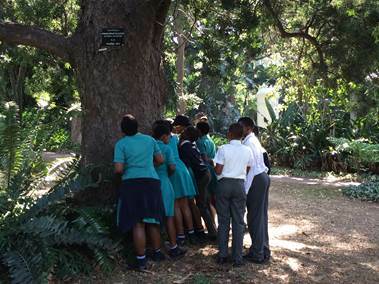 The children took part in biodiversity walks where they were introduced to South Africa’s unique and native species and how these species functioned together as a whole ecosystem. There was also a take away element to the experience in the form of the WESSA Climate Change Picture Building Game which forms a part of the gardens climate change lessons that cover waste management, clothing production and Carbon . This activity was conducted throughout the day, the children where then able to take it back to school to continue their learning. The success of the project was continually monitored through a range of interviews and feedback forms. The project has had an impressive impact with nearly all schools in the INK area participating in activities at the garden. 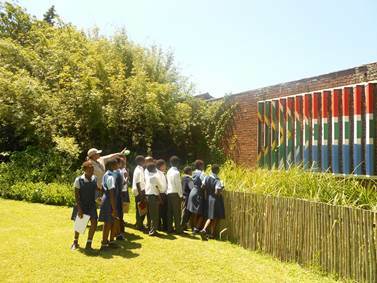 The most significant impact of the project was the exposure of learners to the garden itself and seeing them interact with nature and learn to love and appreciate it. This was seen by the garden staff carrying out the activities but was also fed back through the evaluation forms and interviews from both the pupils and teachers. The high attendance and positive feedback from Chapter 1 of the program lays out a very positive future for the programs progression into its Chapter 2 phase, which will expand to include more students and continue when the schools return in 2016. The project will continue to work towards creating a sense of citizenship and community in the area by encouraging the citizens to express themselves through a love of nature and community which ultimately will make the INK area a more enjoyable and liveable space.